It is well known that sustainability has become a much needed target, especially considering the recent rapid urban sprawl and the subsequent exacerbation of social, environmental, and economic problems. Thus, many studies have been conducted to define sustainability and the sustainable city. However, many of these definitions suggest a range of contradictions, implying that the achievement of sustainability is elusive. The problem lies in setting unreasonable definitions of sustainability and in the various contradictions to these definitions, making sustainability seemingly unattainable. Hence, some models of cities are emerging that are labeled as sustainable cities; among these are the “zero-carbon city” and the “ubiquitous eco-city” (“U-eco-city”). 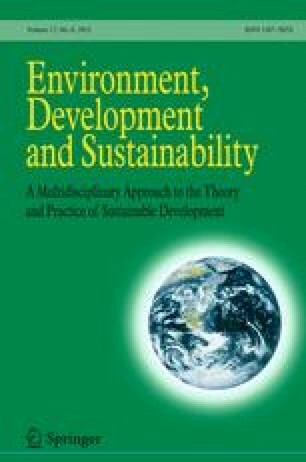 This study reviews the history and definitions of sustainability, in order to acknowledge the contradictions inherent in these concepts. It also briefly presents the compact city, the zero-carbon eco-city, and the U-eco-city by determining their individual pros and cons and highlighting where there are any conflicts with the principles of sustainability. The aim of the study was to adjust the use of sustainability as a terminology in the field of urban sustainable development and to demonstrate the extent to which we use marketing names for eco-cities without compliance with sustainable dimensions. The study will also discuss the key sustainability pillar required for a project to be kept sustainable. The study concludes that the use of the term “sustainable city” may limit the potential for further enhancing sustainability in future projects; using the term “transition toward the sustainable city” may be more accurate and more effective. The results show that reducing energy consumption through efficient use, and relying on renewable energies, will be the keys to reaching urban sustainability. The study also finds that recent tyranny in the name of ecology will not result in real sustainability. Although the free eco-city and the u-eco-city are considered advanced models, their limitations are related more to the economic and social aspects than to the compact city, which clearly reflected the pillars of sustainability, despite its being an outdated model. This research was supported by a Grant (14RDRP-B076574-01-000000) from Regional Development Research Program funded by Ministry of Land, Infrastructure and Transport of Korean government. Cibworld (2014). CIB pro-active approach priority theme 1—sustainable construction CIB: News on CIB and Sustainable Construction. Online access: <http://cibworld.xs4all.nl/dl/ib/9903/pages/pro1.html#anchor413919>. Accessed 09 Jan 2014. Hofstad, H. (2012). Compact city development: High ideals and emerging practices. European Journal of Spatial Development; 49. Available Online: http://www.nordregio.se/Global/EJSD/Refereed%20articles/refereed49.pdf; access date: may, 30th, 2014. Inaba, J. (2012). Adaptation: Architecture, technology, and the city. ISBN: 0615738737, 9780615738734. p. 7. Available Online at: http://www.inaba.us/project/adaptation-architecture-technology-and-city. Accessed 26th March 2014. ITU-T (2013). Smart cities—Seoul: A case study. ITU-T Technology Watch Report. Available Online: http://www.itu.int/dms_pub/itut/oth/23/01/T23010000190001PDFE.pdf. Accessed 26th March 2014. Kim, Y. M., Kim, H. S., Moon, S. Y., et al. (2009). Ubiquitous eco-city planning in Korea. A Project for the Realization of Ecological City Planning and Ubiquitous Network Society. REAL CORP 2009: CITIES 3.0—Smart, Sustainable, Integrative. Proceedings of 14th International Conference on Urban Planning, Region al Development and Information Society, 22–25th, April, 2009; pp. 925–930. Catalonia, Spain. Available Online at: <http://programm.corp.at/cdrom2009/papers2009/CORP2009_174.pdf>. Accessed 26th March 2014. Lindfield, M., Steinberg, F. (2012). Green cities. Asian Development Bank, p. 86. Available Online at: http://www10.iadb.org/intal/intalcdi/PE/2012/10650.pdf. Accessed 26th March 2014. Maclaren, V. W. (1996). Urban sustainability reporting. Journal of the American Planning Association, 62(2), 185. Available also Online at <http://dx.doi.org/10.1080/01944369608975684>. Accessed 26th Jan 2013. Masdarconnect (2013). Exploring Masdar city, Available at : <http://www.masdarconnect.com/userfiles/files/Exploring-Masdar-City-Site-Tour-Booklet.pdf>. Accessed 12 Aug 2013. McDonough, W. (1992). The hannover principles: Design for sustainability. Prepared for EXPO 2000, The World’s Fair. Hannover, Germany. Available Online at: <http://www.mcdonough.com/wp-content/uploads/2013/03/Hannover-Principles-1992.pdf>. Accessed 19th July 2014. Scheurer, J. (2007). Compact city policy: How Europe rediscovered its history and met resistance. 2005–2007 the urban reinventors Journal, issue 2. celebration of urbanity. Available online at: <http://www.urbanreinventors.net/2/scheurer/scheurer-urbanreinventors.pdf>. Accessed 17th Feb 2014. Whitehead, M. (2003). (Re)Analysing the sustainable city: Nature, urbanisation and the regulation of socio-environmental relations in the UK. Urban Studies Journal, 40(7), 1186. Available also online at <http://usj.sagepub.com/content/40/7/1183>. Accessed 27th Jan 2014.